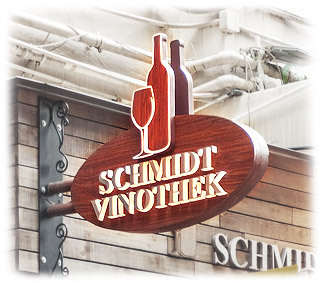 Featuring an exquisite collection of fine wines from Germany, Austria and Switzerland, Schmidt Vinothek was established in 2012 to meet the diverse tastes of Hong Kong wine connoisseurs. 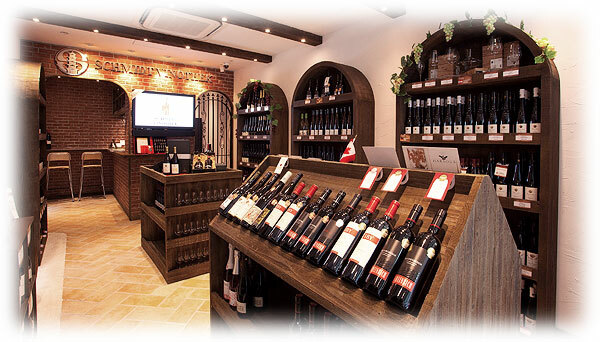 Two well-stocked wine shops in the upscale districts of Happy Valley and Quarry Bay offer wines from the best vineyards in German-speaking regions including Germany, Austria and Switzerland, alongside first-rate Italian and Hungarian wines amongst others. Schmidt Vinotheks are situated in residential districts where fine dining, offices, a variety of shops and private residences converge. The interior design builds on the traditional wine cellar, adding a contemporary ambience through extraordinary furnishings that enhance the red brick walls, arched wine racks and the floor-to-ceiling glass façade. Stylish and elegant, the décor forms an open invitation for guests to enjoy a relaxed and cosy wine tasting experience. 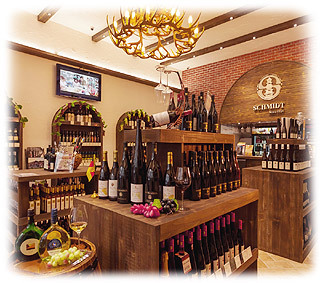 Let's find a Schmidt Vinothek store near you from our retail store list!